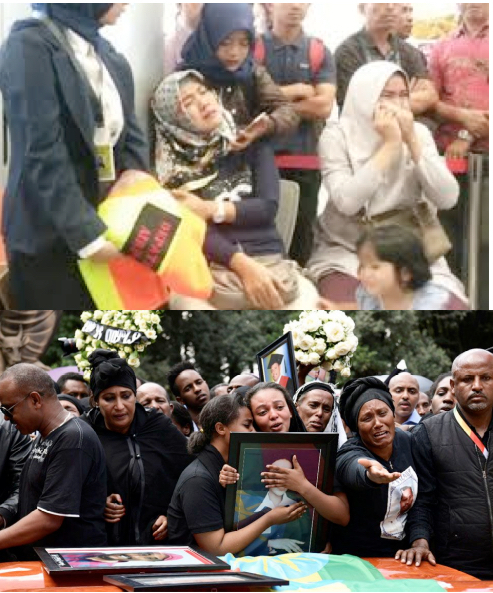 Grieving families of victims of Lion Air flight 610 (top) and Ethiopian air flight 302 (bottom). Their pain will never go away. What happened with the Boeing 737Max crashes, and are we seeing the same process under way in the nuclear power industry? In 2018, Boeing delivered its 10,000th 737. Originated in 1967, the 737 has been the cash cow for Boeing, but processes were underway to create the present crisis for what was called an updated model of that plane, for the company and for the flying public. In 2011, Boeing heard that American Airlines was negotiating with Airbus to buy hundreds of that company’s A320neo, so Boeing rushed to get a new plane on line to compete with Airbus. In order to win customers and avoid more defections to its number one competitor, Airbus, Boeing sought to simply update the 737. That was important because it would mean minimal pilot training, vs. what would be necessary for an entirely new plane. Pilot training can cost an airline millions of dollars. Here is how the Wall St. Journal describes the process: “To win customers, and avoid more defections to Airbus, Boeing also made commitments that there would be minimal requirements for new pilot training, which can be costly to airlines, especially if expensive flight-simulator sessions are needed, according to people familiar with the matter. So Boeing tried to minimize differences from its existing fleet. Pilots were never specifically trained, for instance, on the MCAS system….” In other words, Boeing was cutting corners in order to rush its 737max online. Apparently to ensure minimal pilot retraining, Boeing instituted a revolutionary new system in its 737Max: For the first time ever, it installed a computer system that would in certain circumstances take control of the plane away from the pilot. This is the “Maneuver Characteristics Augmentation System” or MCAS. It has a sensor meant to tell if the plane is pointed at too high an angle when flying fast at high altitudes. If the sensor senses that, it automatically adjusts the flaps on the rear stabilizers (the horizontal “wings” at the tail of the plane). At one point, Boeing felt that this could be a general safety feature, including for take off, so MCAS was built into the plane’s features in general. Originally, MCAS was designed to only be able to change the flap angle by 0.6 degrees. However, actual flight tests apparently found this to be inadequate, so that was bumped up to 2.5 degrees. It’s not clear to what extent pilots were aware of this change. Another problem with the MCAS is that it relies on only one sensor – a little flap towards the nose of the plane. Finally, there is no limit to how many times MCAS can try to push the nose of the plane down. This was apparently critical in the Lion Air 737Max crash of last October. In that case, according to the Seattle Times, the black box revealed that the pilot and the first officer together had gone through 24 attempts to override MCAS. Each time they tried to adjust the angle of the stabilizer flaps, MCAS readjusted them. As the Times writes, “In the final seconds, the black box data shows the captain resumed control (away from MCAS) and pulled [the control stick] back up with high force. But it was too late. 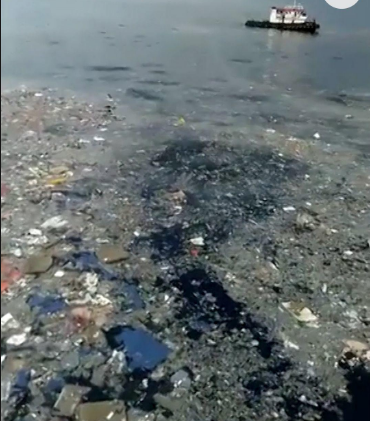 The plane dived into the sea at more than 500 miles per hour.” It carried 189 people to a watery grave. 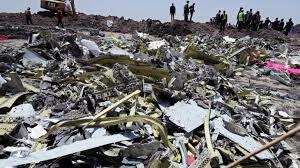 The Ethiopian Air black box has not yet been fully analyzed, but the known flight pattern conforms to that of the Lion Air crash. Additionally, the part that moves the stabilizer tail flaps, called a jackscrew, was in an unusual position, indicating that it had adjusted the flaps to an extreme angle. It seems nearly certain, then, that it was this malfunction of MCAS that caused the deaths of an additional 90 people. Probably this particular problem with MCAS will be cleared up, and problem solved… until the next time. And what does this all have to do with the nuclear power industry? The same deregulation is going on there. One of the members of the Nuclear Regulatory Commission (NRC) is Annie Caputo, a former nuclear-energy lobbyist, and as ABC News reports “The nuclear power industry is pushing the Nuclear Regulatory Commission to cut back on inspections at nuclear power plants and throttle back what it tells the public about plant problems. The agency, whose board is dominated by Trump appointees, is listening.” The pressure to deregulate has increased due to increased operating costs “of the country’s aging nuclear plants” and the increased competition from (cheaper) natural gas, solar and wind power sources. Just as the FAA gave Boeing increased authority to decide what is safe and what is not, so the NRC is moving to allow the nuclear industry to self regulate. And just as Boeing was under increased economic pressure due at least in part to competition, so is the nuclear power industry. We should also be clear: While Trump has put deregulation on steroids, appointing industry insiders to the regulatory bodies they are supposed to oversee, Obama did the same. You don’t have to be a fortune teller to figure out which way this is going to go. Except we are not talking here about hundreds of lives; we’re talking about possibly hundreds of thousands, maybe even millions. A US invasion of Venezuela?